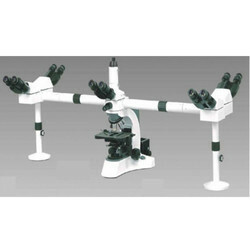 Leading Manufacturer of double headed microscope j 222, triple head microscope, penta head microscope / triple head microscope / double head microscope, lcd digital microscope jlcd120, lcd microscope jlcd 200 and jld 900 lcd microscope from Mumbai. JLCD-120 digital LCD microscope is a new generation microscope with Android OS, just like a tablet. Support WiFi wireless and bluetooth. It's easy to extend the application. With 8 inch IPS LCD screen, A7 dual core 1.6G processor, support for 5 point touch, HDMI video output and SD card expansion. 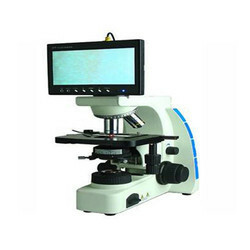 It's easy to use and can be widely used in various optical micro fields, such as teaching, researching, electronic checking and so on. Varity observation modes Observing on LCD screen and through ocular at the same time. 7" TFT LCD screen with built-in 3M pixel digital camera facilitates capturing images, video and audio with no messy power wires or cords. Support Windows 2000/XP/Vista and equipped with powerful image processing software. 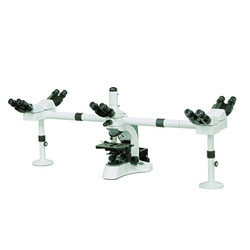 Integrated traditional optics and digital technology, widely used in teaching, medical, biological and scientific research field. Focusing Coaxial coarse and fine focusing knob, height adjustable. With one 7 " TFT screen, friendly man-machine interface, powerful processing function (real-time preview, dynamic calibrating and measuring), multiple peripheral interfaces and comfortable mechanical design. 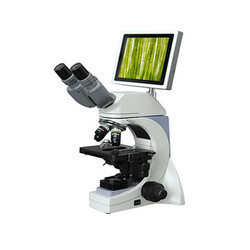 A new generation microscope JLD900 is an easy-operating assistant in teaching, research and electronic checking. 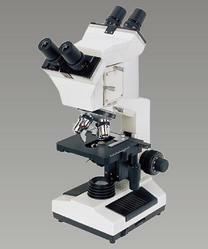 Looking for Multihead Microscope ?